as the 2019/2020 jamb draws closer every day and as jamb candidates starts preparing for the exam we have seen thousands of candidates asking this simple but interesting question “how many number of questions will jamb set”. in this article we shall discuss on the number of questions jamb says it will set in the forth coming 2019/2020 JAMB, we shall also discuss on how many hours you are expected to answer all questions and finally what the exams will look like. please take your time to read this article from A-Z to get a good grasp in all we have written down. But before we answer the above question, we will like to inform you that jamb has officially reduced the total number of questions in all questions across board and at the same time reduce the hours given to candidates. the reduction of time and number of questions was first noticed in 2018 jamb, although we didn’t pay much attention to 2017 jamb to see if the same reduction applied to it, but we are very certain that 2016 jamb was not affected. 1 How many questions are we to answer in Jamb 2019? 2 How long will Jamb examination now last? 3 How will Jamb 2019 questions be set then? How many questions are we to answer in Jamb 2019? following the reduction in the total number of questions which I took time to explain below jamb has reduced all questions from the usual 50 to just 40.
while ENGLISH LANGUAGE now has just 60 questions. questions like mathematics, Economics, CRS, Geography, Physics, Chemistry, Biology, Literature, government, Arabic, religion, literature in English, etc with the exception of use of english language will have just 40 questions attached to them. How long will Jamb examination now last? the Joint Admissions and Matriculation Board has reduced the total hours required to answer all questions from 3 hours to just 2 hours. this means you are expected to answer all questions within just 2 hours. 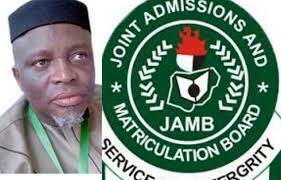 Will Jamb score still be over 400? How will Jamb 2019 questions be set then?